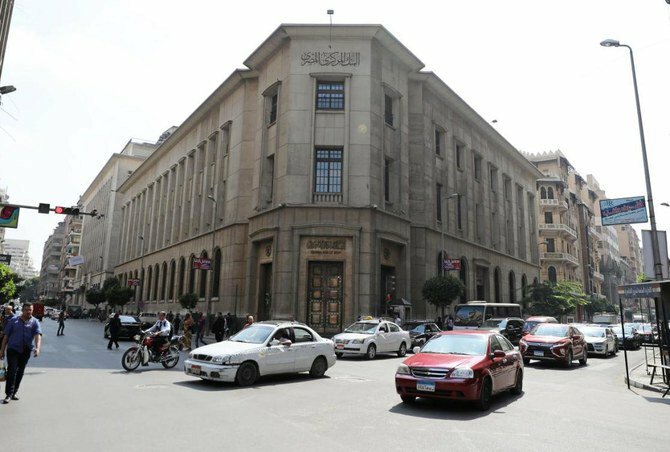 Egypt has signed an agreement with Euroclear, Europe’s biggest settlement house for securities, to allow holders of its sovereign debt to clear transactions outside the country beginning in six months’ time, its finance minister said. Mohammad Maait also told Reuters that Egypt hopes to announce a new sovereign debt issue by the end of September and hopes it will be eligible for clearing via Belgium-based Euroclear. “Hopefully by October this year, we will be starting to launch the first part of our debt, (making it) euroclearable,” Maait said in a phone interview late on Saturday. The government is considering issuing “green bonds, samurai, panda, sukuk and infrastructure bonds”, he said. Maait was speaking from Washington, where treasury officials from around the world have gathered for the spring meetings of the World Bank and International Monetary Fund. Euroclear is due to officially announce its memorandum of understanding (MoU) with Egypt on Monday, a source familiar with the matter said. Euroclearability is seen as one of the last stages of capital market development and can sharply lower borrowing costs for emerging market economies, says PwC. The deal will help “create the right market conditions for local currency sovereign debt issuance,” according to a draft Euroclear press release, seen by Reuters and due to be published on Monday. “The intention is for the market to eventually become Euroclearable, creating a cross-border link to enable international investment in Egyptian domestic debt instruments,” the release said. Settling debt via Euroclear requires high levels of transparency as well as specifics on the size and structure of the debt to be issued, among other aspects under Euroclear rules.